SATHA Award is established to award those heroes who contribute exceptionally in their respective fields. 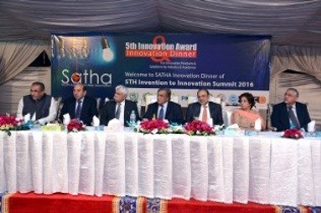 SATHA Innovation Award is an international award by South Asia Triple Helix Association as Part of International Triple Helix Association. 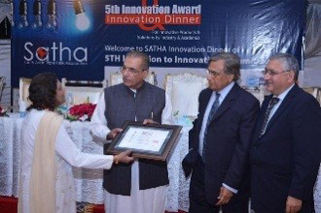 SATHA Award is given at annual dinner of each summit. There is no registration fee nor any of this awards. 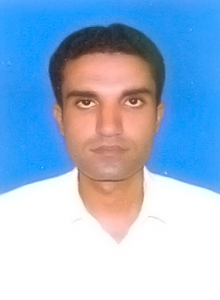 For Development by Academia, Industry, Public and Social Sector. The main purpose of this award is to reward the significant contribution and value creation made by individuals and organizations. Different scientists from Industry and academia participate and submit their innovative technologies to the Jury, followed by review of award committee and selection of top impact making development. Winner projects are rewarded through Innovation Award and are acknowledged in the ceremony for Annual Innovation Award. 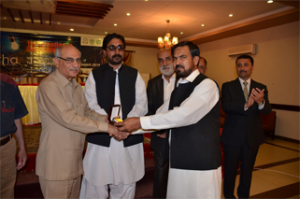 Innovation Award is designed for successful projects of Pakistani Innovators. 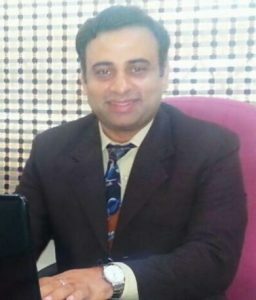 These awards are given by SATHA to projects have achieved substantial success. What will be the Award? 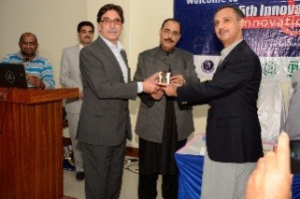 Innovation Award (Medal) will be given along with certificate and letter of appreciation. 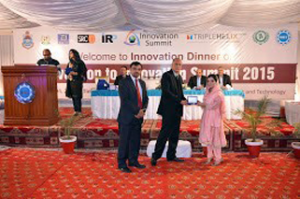 The Innovation Award is a sign of success in that particular year with the logo Innovation Summit. Only viable indigenous developments with proven impact is required to participate for Innovation Award. 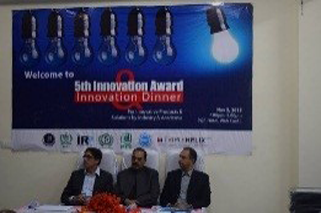 No any kind of fee, sponsorship or financial support is required to participate in innovation award. Award committee is established to evaluate impact of innovators from various trades of life. Innovators need to submit their developments to worthy jury for experts review according selection criteria. 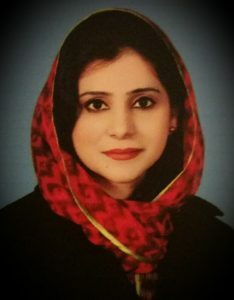 Committee members from different organizations judge the work and give results without any identification. Note: The decision taken by committee members will be final and can’t be challenged anywhere any time.